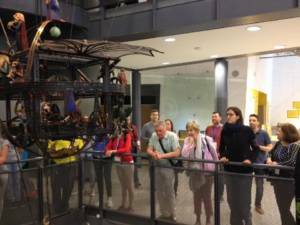 The Israel Sci Tech Network’s R&D Center, in collaboration with the Bloomfield Science Museum in Jerusalem, recently hosted a visit to Israel by the consortium of the International OSOS (Open Schools for Open Societies) Project. 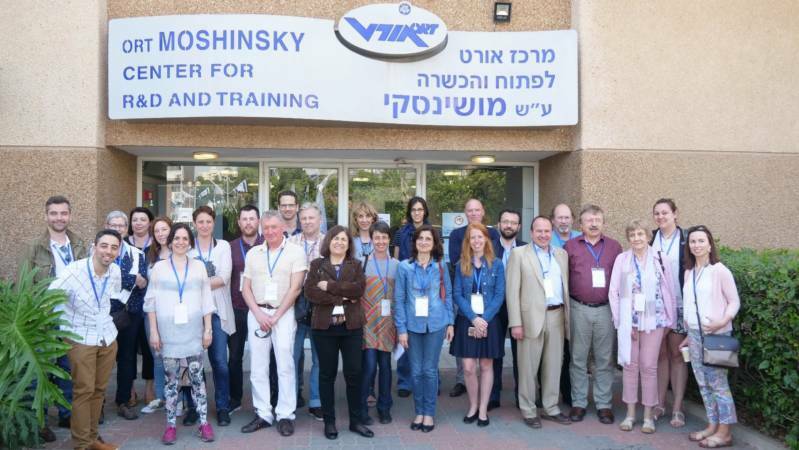 A delegation comprising 24 overseas representatives came for a three-day visit which included conferences at the Moshinsky Center, visits at schools, and a tour of the Bloomfield Science Museum in Jerusalem. The OSOS Project is a three-year programme aiming to spread the Open Schooling approach across Europe, by turning schools into hubs of expanding scientific capital through collaboration between students, teachers, and the local community, and through fostering a culture of innovation and responsible citizenship. 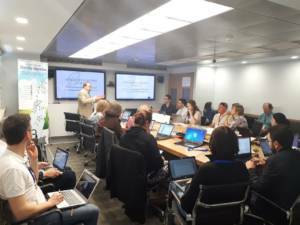 The project aspires to reach 1,000 schools in ten European countries, in which Open Schooling activities will take place. The project is coordinated by the school and R&D center at the Ellinogermaniki Agogi (EA) Educational Institute in Greece, in partnership with some 20 European institutions: universities in Germany, Spain, and The Netherlands; museums and science centers such as NEMO in Amsterdam and the Cite de l’Espace in Toulouse; and organizations such as the European School Heads Association (ESHA), and the European Physical Society (EPS). The project’s partners also include two universities outside of Europe: Curtin University in Perth, and MIT in the USA. 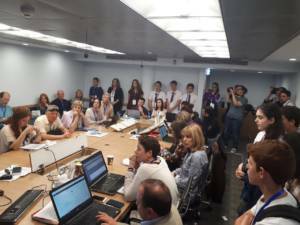 In Israel, the project is led jointly by the Sci Tech Network’s R&D Center and the Bloomfield Museum of Science, which together coordinate the project’s activities in selected schools across Israel (both within and without the Sci Tech Network). 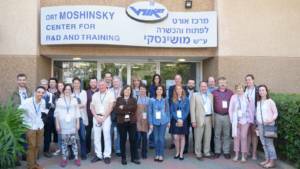 Twice a year, the project’s consortium visits one of the partners. 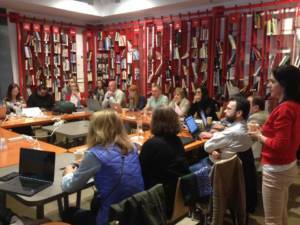 The visit is mostly dedicated to project-related meetings and conferences. 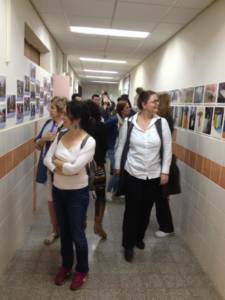 As previously mentioned, the educational activity related to the project takes place in ten countries simultaneously. 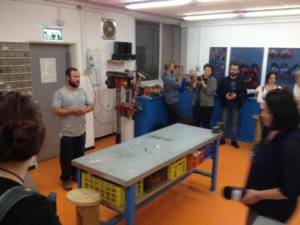 The visit in Israel was scheduled towards the end of the project’s first year, at a phase when schools can already display some products. That was actually the first instance when the partners observed activity on the ground, visited schools, and met with teachers and students. 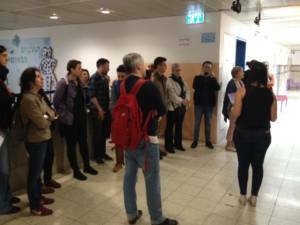 The delegation visited the Sci Tech Greenberg High School in Kiryat-Tivon, where they toured the school’s sustainability center, observed projects created by students, and appreciated the collaborative relationships fostered by the school with its surrounding community. 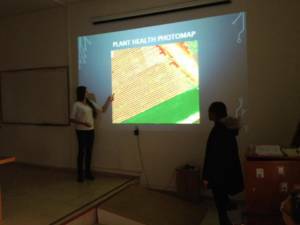 Moving on, students of Sci Tech Alon Ben Gurion in Afula presented two projects they had created in the field of Precision Agriculture, through collaboration with The Volcani Agriculture Institute, and with farmers from the nearby Ein-harod Kibbutz. 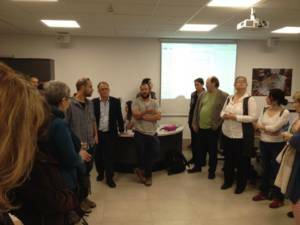 A farmer from the Kibbutz spoke of the collaboration as viewed from his side, and a representative from the Volcani Institute also gave an account of the collaborative project, and of Israeli agriculture in general. 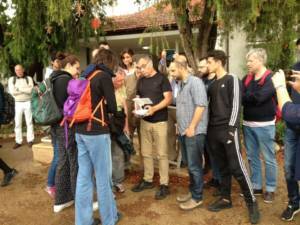 Finally, the guests went to a nearby field to watch a flight demonstration of a drone used by the students for their project. 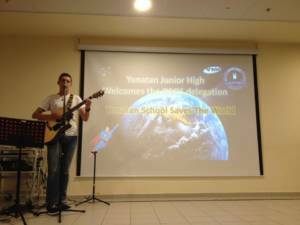 The delegation also visited the Yonatan Netanyahu Junior High School in Kiryat-Motzkin, where they attended the inauguration ceremony for a new project looking into earthquakes, involving partner schools from several Mediterranean countries. As part of this project, the school installed an on-site seismograph, to be used by the students for measuring earthquakes. The seismograph was installed by Dr. Gerasimos Chouliaras, Research Director at the Institute of Geodynamics in the National Observatory of Athens, Greece. Dr. Chouliaras also gave a short talk on the topic. 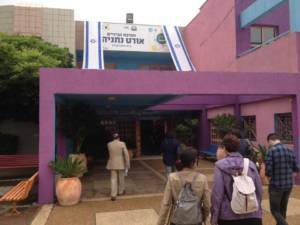 On the third and last day of their visit, the delegation visited the Bloomfield Museum of Science in Jerusalem. Rosa Doran, NUCLIO – Nucleo Interactivo de astronomi – Read article.